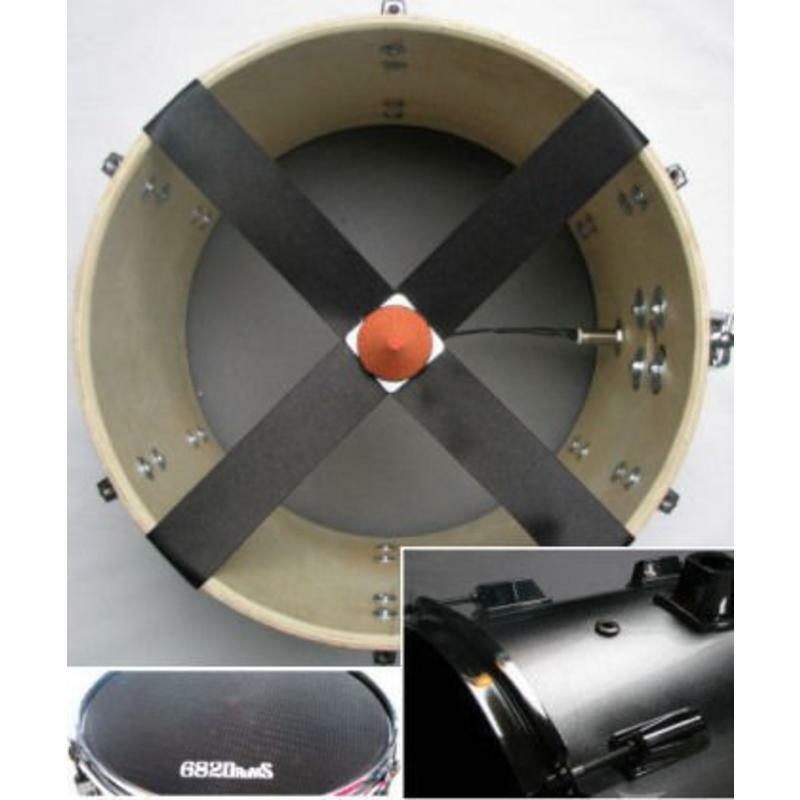 Convert your acoustic drum kit into the best electronic kit you could want! Available for drum shell sizes 6 inch to 18 inch. Install the DT-PRO triggers in your toms and connect them to your drum module and you're ready to rock. It's that simple! DT-PRO Triggers can be connected to Roland®, 2Box®, Pintech® or Alesis® drum modules. Unlike other triggers, the DT-PRO trigger is hung inside the drum shell. So, you won't hit it. The center placement gives perfect response; high volume at the middle of the head, lower volume towards the rim. 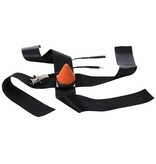 The trigger is placed on a special X-shaped ribbon which is connected to the rim. This ribbon is so thin that it won't muffle your sound, even when using a standard acoustic drum head instead of a mesh head. The trigger sits on a balance plate which assures proper balance and correct trigger placement for perfect response. This method of installation has other advantages, as well. With the DT-PRO triggers, crosstalk is a thing of the past. 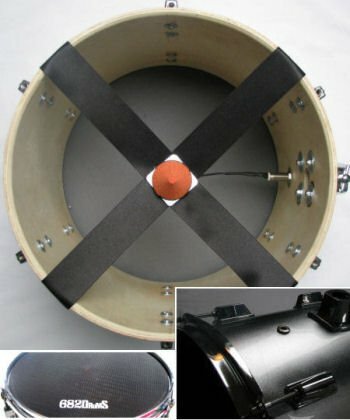 Crosstalk is a common problem with most drum triggers on the market, especially when using normal cymbals mounted on the same rack or stand as a tom. Impossible with most triggers; no problem with the DT-PRO triggers from 682Drums. If you want to trigger rim sounds, as well, please choose our DT2-PRO. The DT2-PRO has a second trigger that also mounts inside your snare or tom. How to mount the DT-PRO. Mounting is easy. Just put the four ends of the ribbon on the shell edges. Place your mesh head or acoustic head over the ribbon ends, replace your rim and tighten as you normally would. (don't forget a new air vent grommet) or run the trigger wire through the standard air vent and install a connector outside of your shell.